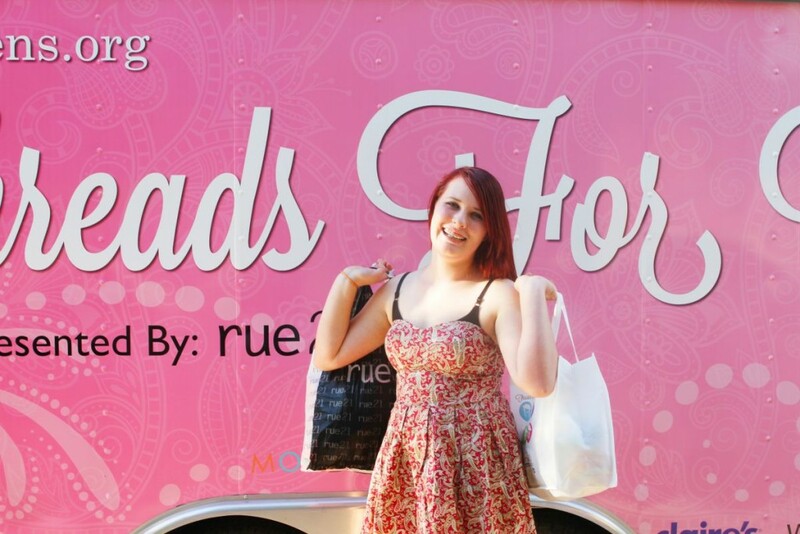 Threads for Teens and rue21 for rueGIVESback! 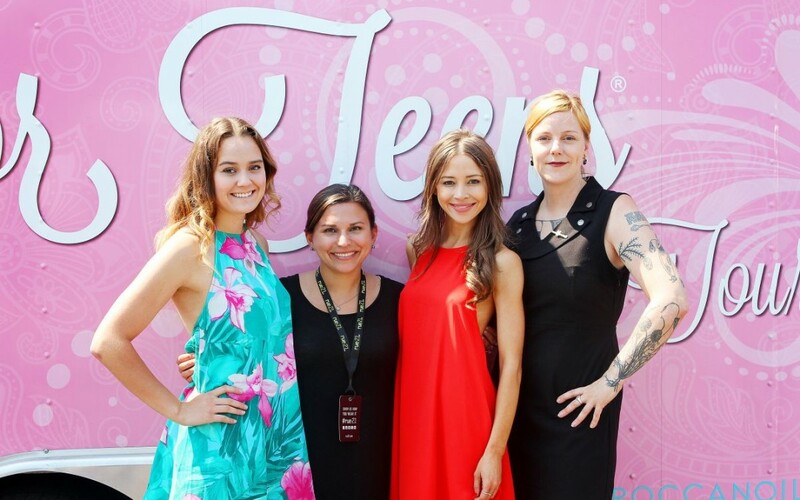 This summer, as you most likely saw from all of our Facebook updates, Instagram posts, Blogs, and YouTube videos, rue21 was a major sponsor of Threads for Teens on Tour 2015. Deanna Tomaselli, the media relations manager for rue21 was even kind of enough to sit on our panel in Long Island!! Recently, they answered several questions about their partnership with Threads for Teens as a part of their rueGIVESback program. Q. How did you hear about Threads for Teens? Q. Tell us more about the rueGIVESback program! A. rueGIVESback is our new philanthropy initiative dedicated to making a positive impact on the lives of our customers and Associates. rue21 isn’t just about helping customers look good – we also want to do good by partnering with charitable organizations that fit our style and culture. We believe it is important for our young Associates to have a voice in social responsibility and to give back by supporting their local communities. 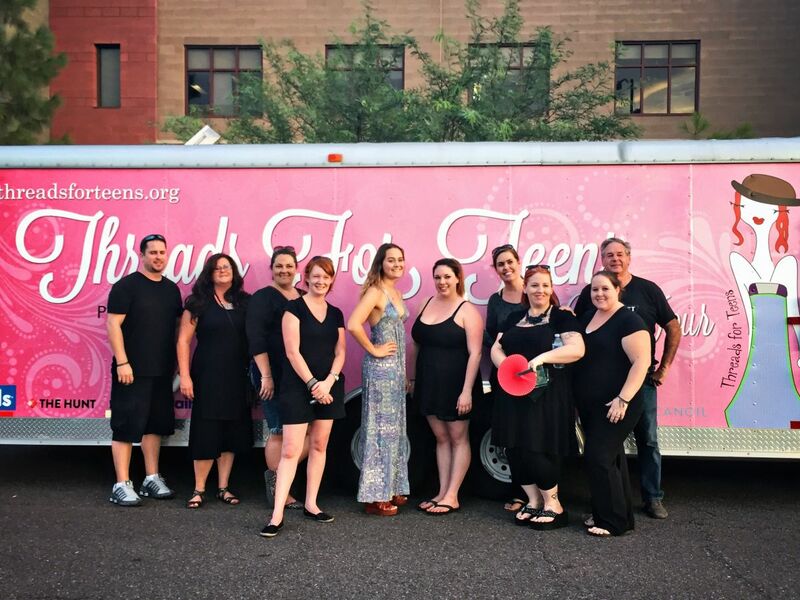 With rue21 volunteers in Phoenix! Q. Why do you see Threads for Teens as a perfect partner for your new initiative? A. 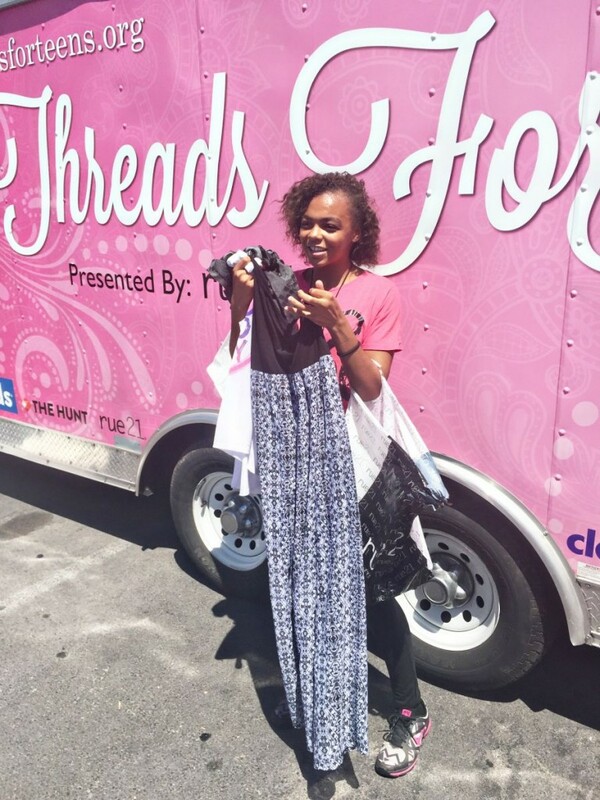 We just love the Threads for Teens mission of helping girls build their self-esteem, confidence, and hope. Not everyone has access to things we often take for granted, like cute clothes, so we’re loving being a part of this awesome organization to give back to these girls in need. 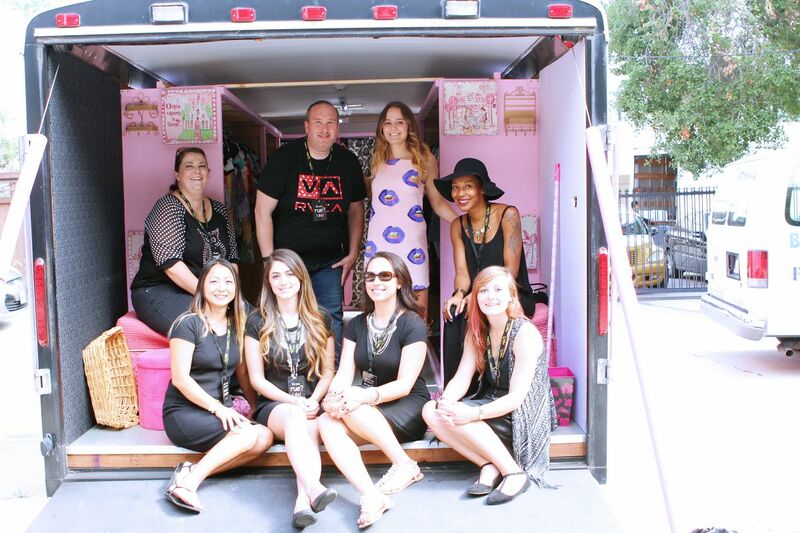 rue21 Volunteers in Los Angeles! Q. 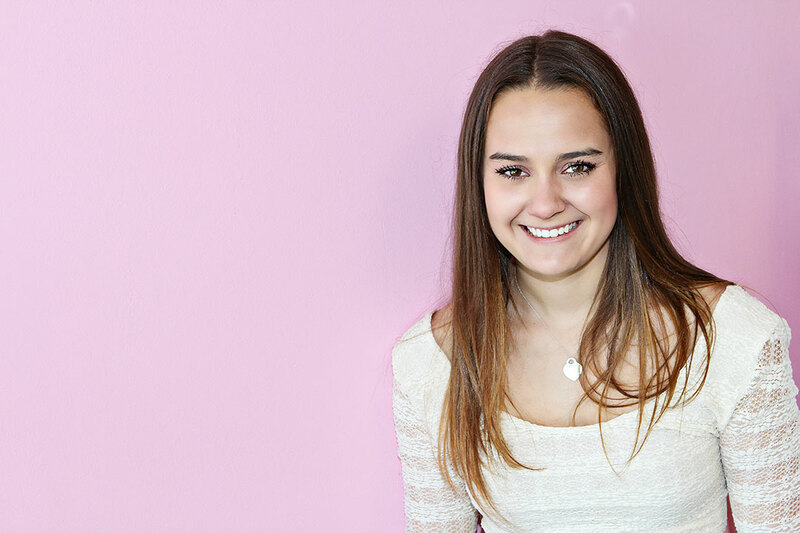 How do you see clothing affecting a teen’s confidence? A. Sometimes all it takes is a great new pair of boots or a dress that you love and feel good in to boost your confidence. Feeling good starts with the inside, but if you feel good inside and out, you can do anything! Q. How can clothing be empowering? A. Clothing can represent you without having to say a word. It’s your freedom to wear what you want and when you want it, and rue21 is proud to offer the newest trends for less for our customers, so they can express themselves and feel confident and empowered to tackle the world, without breaking the bank. Q. Tell us a fun fact about rue21! A. We have over 1,150 stores in all the continental US! Just one look from the super cute Fall 2015 rue21 lookbook! Q. What are some trends that rue21 customers seem to love for the summer and back-to-school season?